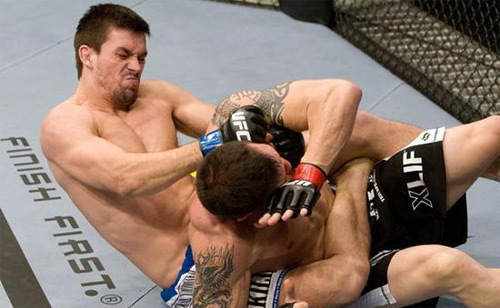 And Finally… ALar’s Take on UFC 148: Silva v. Sonnen Dos! July 7th is just a day away as MMA fans across the globe are anticipating one of the most hyped matchups of all time. I could write countless words on the Silva/Sonnen saga, but I feel like other outlets may be best suited for that. For those of you looking to get a deeper insight into the enigma that is Anderson Silva, be sure to check out the documentary Like Water. The film provides a great back story to Silva/Sonnen I, as the film follows Anderson from the Abu Dhabi debacle all the way up to his stunning victory in his first matchup with the so-called “Gangster from West Linn”. If you told me you anticipated Chael to dominate that first match like he did, there is no chance I would believe you. Many pundits expected another dominant performance from “The Spider” as he squashed another seemingly unworthy contender. None of us believed that a mid-card wrestler could give ‘our’ Michael Jordan a challenge. That supposed mid-tier guy proved us all wrong by dominating Silva for four and a half rounds. Though, in that fateful final round Silva gathered himself and pulled a triangle choke out of where the sun don’t shine and defended his title. Whether Silva was setting up the triangle whole time, his ribs really hindered him, or Chael’s inhumane testosterone levels were too unworldly to overcome, millions were left stunned and wanting more. 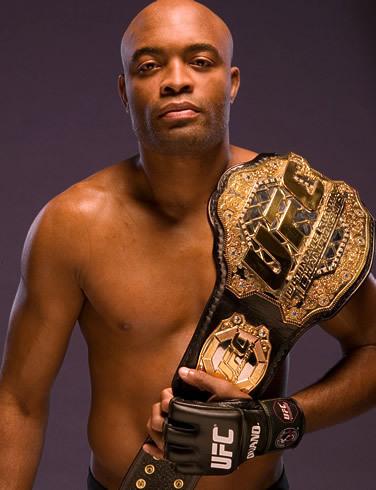 After two years of trash talk (mostly by Mr. Sonnen), a few injuries, and a whole lot of speculation we finally get to see Anderson Silva defend HIS belt against the toughest opponent he has seen as a UFC Champion. Besides the colossal Main Event, this is a six fight card that has solid bookings from top to bottom making this Pay-Per-View a must buy for any self-respecting fight fan out there. You could say that whoever loses this fight may also be losing their job in the UFC, but I’m not here to paint a doom and gloom picture of guys that go in a cage and put on a show just for my entertainment. But let’s get real. This is a must win for either athlete. Roller has lost 3 in a row, and Alessio is coming of a loss to Mark Bocek back in April. Roller is the Vegas favorite but I am going to go with Alessio and his experience here. He grinds out a Decision. Alessio by decision. I am not going to lie, I don’t know much about Riki Fukuda besides the fact that his UFC debut loss to Nick Ring is widely considered a total screwjob. Fukuda was even given his “win” bonus by The Baldfather himself. 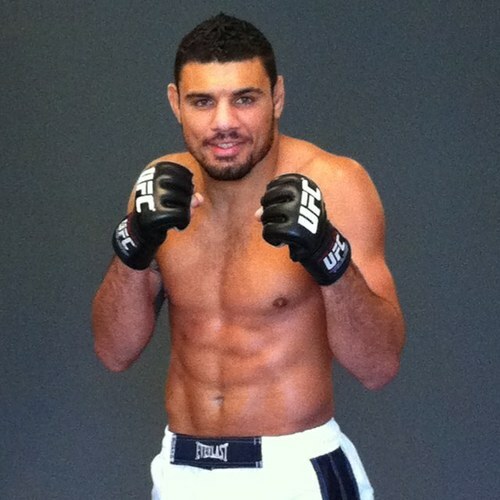 What I do know is that I have watched Costa fight three times now, and he has entertained the crap out of me each time. Forget ‘Point Fighting’, the Serra-Longo product is always ready to scrap. 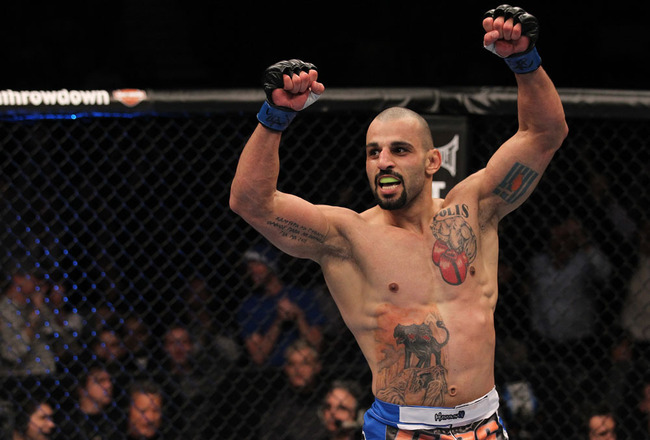 Philippou by decision. Somebody in the UFC matchmaking hates “The Young Assassin” Guillard. He has a glaring weakness to submission specialists, the guy has lost his last two bouts by rear naked choke. Throw in the fact that 9 out his 10 total losses have come by submission, the guy clearly can’t cut the mustard with grapplers. So who had the bright idea to throw him in the Octagon with a BJJ black belt with serious submission chops that ALSO has a 26 minute bout with ‘The King’ Anderson Silva on his record??? Sad to say, but this should be a submission win for Camoes. Camoes by submission. I am pretty pumped up for this bout. Tibau is a monster at 155, I’ve read the guy is pushing 190 when he gets into the cage on fight night. Then toss in Khabib and his Sambo brilliance and we have the makings for a barn burner. 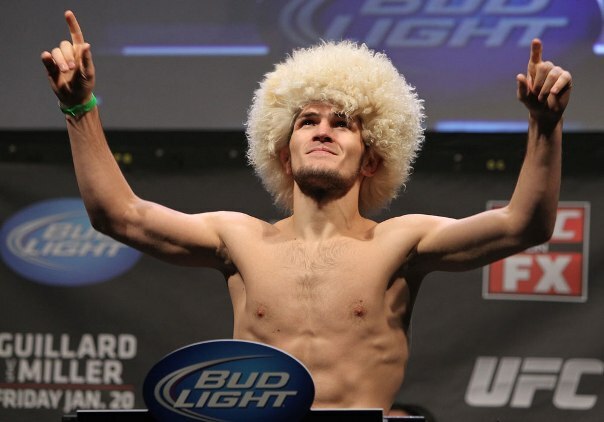 For us UFC fans, we do not get to see Sambo World Champs all that often, so I am very excited to see how Khabib stands up against top-level competition in MMA. Khabib is undefeated in MMA and I expect that trend to continue. Khabib by KO. Here we have two top-level 135’ers looking to keep their name in the title picture. Menjivar may have better name recognition as he has bounced around major promotions for a while now. ‘The Pride of El Salvador” had a fight against Matt Serra at UFC 48, yes 100 UFC’s ago… And guess who was George St. Pierre’s first Professional MMA fight? Ivan Freaking Menjivar. Menjivar now trains up at TriStar with the Welterweight Champ. Menjivar is the bigger name with more notches on his belt, and I have to go with him on Saturday. Easton is a hell of an athlete but he has not seen the top-level competition that Ivan has. Experience will pay off in the first fight of the night. Menjivar by Decision. This marks Cody McKenzie’s debut at 145 lbs, as well as Chad Mendes’ first fight since his devastating loss to Jose Aldo in Brazil. McKenzie is a guillotine choke master, having won 11 of 13 in that manner. I do not think this trick will work against the Team Alpha Male product in Mendes. His wrestling base will prove to be too strong for Cody and I predict this one to be over quick. Mendes by TKO. Maia’s last seven fights have gone to the judge’s scorecards. Thus this fight with Kim does not really get my blood flowing. Kim has a Judo base that has earned him victories (decisions…) over the likes of Matt Brown, Amir Sadollah, and Nate Diaz. Maia is often booked as a BJJ ace, but has moved away from his strength recently and has oft looked to stand in his fights. I think when the cage door closes on this one we will see two average strikers throw paws at each other until the final bell. I will go with Maia by decision, let us pray for some excitement. For any boredom we may experience from the last bout, this one promises Fourth of July-esque fireworks. We all know Cung Le is an action star/kickboxer extraordinaire; while Cote is mostly known for blowing out his knee in the cage against that Anderson Silva fellow. After flunking out of the UFC after 3 consecutive losses, Cote traveled the globe taking fights while committing himself to the fighter’s lifestyle. Hearing recent interviews with the Canadian, I truly believe he is in a great place mentally and prepared to contend again in the Middleweight division. Cung Le is always fun to watch with his spinning back-kicks and movie style striking. I am just not sure that his Van Damme like approach really fits in the UFC. I am going to enjoy the heck out of him throwing ridiculous combos on Saturday but he is really going to have to channel his inner Frank Dux or Kurt Sloane if he plans on having a shot at beating The Predator. Cote by TKO. Count me as one of the few people who are actually excited about Tito’s so-called “retirement” bout. Neither of these guys will want to lose this one and both will enter the cage looking to leave it all out there. For Tito, there is NOTHING to lose. He has absolutely no reason to hold anything back. 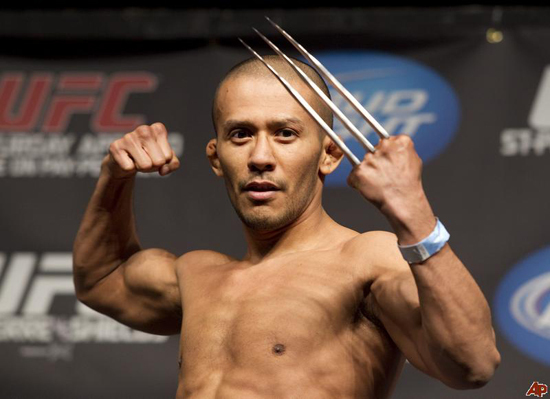 I have no doubt he will touch gloves with Forrest and try his damnedest to end his UFC career on a high note. Tito may not have been the greatest fighter of his era, but the guy could sell a freakin’ fight. He kept the sport afloat during times where the future looked grim for Mixed Martial Arts and its rabid fanbase. His battles with Dana White and management are well documented, but that seems to be water under the bridge. (For this weekend at least…) Considering his many achievements, Ortiz will be inducted into the UFC ‘Hall of Fame‘ just 8 hours before he enters the Octagon against Griffin. 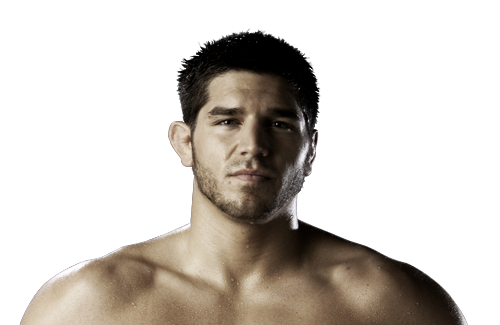 As that he walks to the cage with his American flag on Saturday make sure to give The Huntington Beach Bad Boy The People’s Champ his props for a great career. Now for everyone’s favorite buffoon… Griffin had his mojo taken by Anderson Silva and hasn’t really regained it since. Forrest is an open book to the world and admits he has had a rough run against elite level competition. We all know Forrest can put on a hell of a fight, but at this point in time he may be better suited against Top 10-15 guys instead of the Top 5 guys he has run into. I believe a rubber match with Tito Ortiz is a great booking for Forrest to regain his mojo in the cage. Right now, Forrest outclasses Tito on every level. Tito pulled a win out of his arse against Bader that earned him a tally in the W column, but besides that Tito’s last win was against Ken Shamrock. In 2006… Forrest should be able to use his ape like abilities to dominate Tito on Saturday. It hurts me to say this, but I believe Tito’s UFC career will end with a referee jumping in to stop Forrest Griffin from bouncing Tito’s massive melon off of the canvas. Griffin by TKO. Well, well, well… Here we are. Two years in the making for one of the biggest fights in MMA history. It is known that I can’t stand Chael Sonnen. Like vehement hatred. It gets bad. I text with Dr. Phil about it… I will be loudly rooting for Anderson to remove Chael’s teeth one by one on Saturday night. 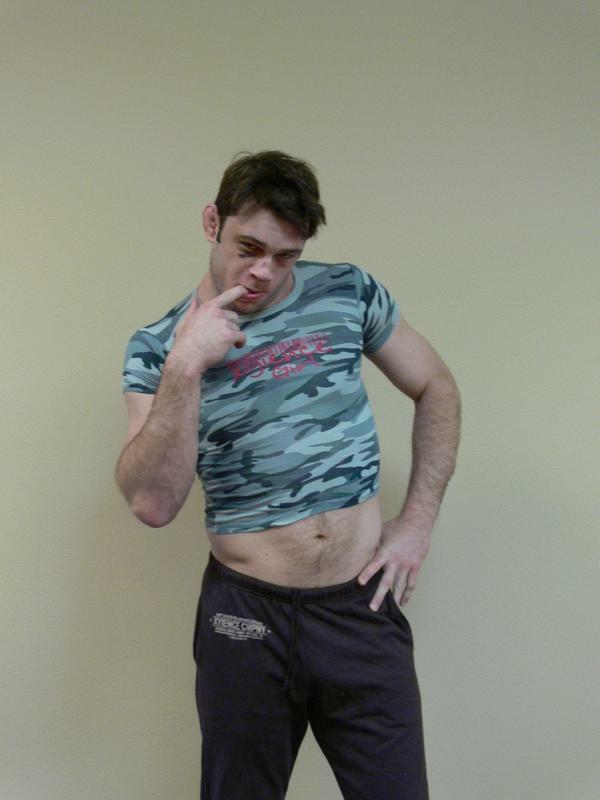 Though, oddly enough, I still respect what Chael brings to the table. He is the only person to give Anderson a run for his money in the cage. To me, that should be his trademark. But aside from his legal and PED troubles, Chael has let his mouth be his defining trait. Luke Thomas put it best on The MMA Hour Podcast, that he is not a “consumer” of Chael Sonnen’s product. Neither am I. If you combine his awful nursery rhymes, his claims that Anderson has a “fake” belt, and a myriad of other inflammatory statements, I just don’t buy into his schtick. All of Sonnen’s trash talk may have gotten him his first fight with The Champ, but his performance in the cage certainly earned him a rematch. Even so Chael didn’t stop talking and it may turn out to be his downfall on Saturday. For those of us that have followed Anderson’s amazing reign as the Middleweight Champ, we know he is an odd character. He may not always be engaged in the cage, at times things seem to be too easy for him and he apparently loses interest. Not this time. Chael has PISSED OFF The Spider. I have never seen Anderson act the way he has in the build up to this bout. From the storied conference call, to the hectic stare down where Silva had to be restrained by Dana White, Anderson seems ready to DESTROY Chael. I hope that he wants to assure any doubters out there that he is the greatest fighter of all time and that the first time around was a pure product of a blown out rib and not “respecting” his opponent. I expect a vintage performance from the guy that gave us classic highlights against the likes of Vitor Belfort, Yushin Okami, Forrest Griffin, and Rich Franklin (among countless others.) I believe that Silva will toy with the Mouth from Oregon for a round or two before he puts him to sleep. I expect Silva to stuff Chael’s first takedown and then the fun will start. I just don’t see how a Chael Sonnen with human testosterone levels can deal with an fuming Spider Silva. We will see Vintage Anderson on Saturday, Chael has unknowingly unleashed the beast and will be unable to tame the Brazilian arachnid in the cage. Anderson via TKO. 2nd Round. Book it. That is the REAL belt, ladies and gentleman. I can’t freakin’ wait for Saturday night, feel free to share your thoughts on the fights in the comment section or shoot us a line on Twitter! This entry was posted in Commentary, MMA, Opinion and tagged Anderson Silva, Chael Sonnen, Tito Ortiz, UFC 148. Bookmark the permalink. 1 Response to And Finally… ALar’s Take on UFC 148: Silva v. Sonnen Dos!